When you begin, find people crazy enough to begin at the same time. 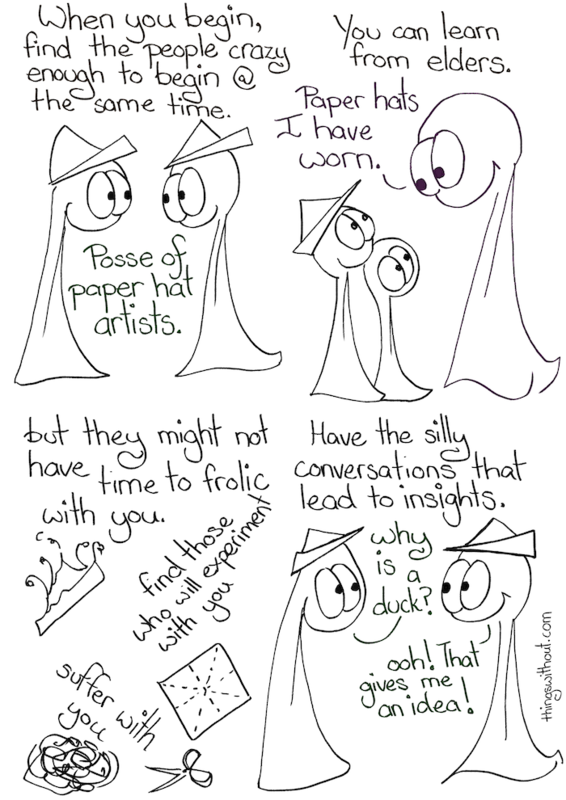 Posse of paper hat artists. You can learn from elders. Old big thing: Paper hats I have worn. but they might not have time to frolic with you. Have the silly conversations that lead to insights. Thing 1: Why is a duck? Thing 2: ooh! That gives me an idea!